The winners of Leto AMOR-2015 photo contest, organized by the Azerbaijani Youth Organization of Russia, were awarded as part of an event celebrating the Independence Day of Azerbaijan in Russia. Held in the Moscow Hall on October 18, the event brought together employees of the country`s Embassy as well as representatives of diaspora and Russian-Azerbaijani Friendship Center. Member of the Board of Directors of the center Emin Hajiyev delivered the congratulation of chairperson of AMOR Leyla Aliyeva to the event participants. Speakers highlighted the role of Azerbaijani students in Russia in strengthening bilateral relations between the two countries. The photo contest, held for the second time aimed to promote creative development and professional growth of young amateur photographers. Young photographers had a unique opportunity to showcase their work to a wide youth audience, and had a chance to acquaint visitors with the rich culture and unique beauty of Azerbaijan. In a short period of time the participants presented more than 250 interesting photographs. 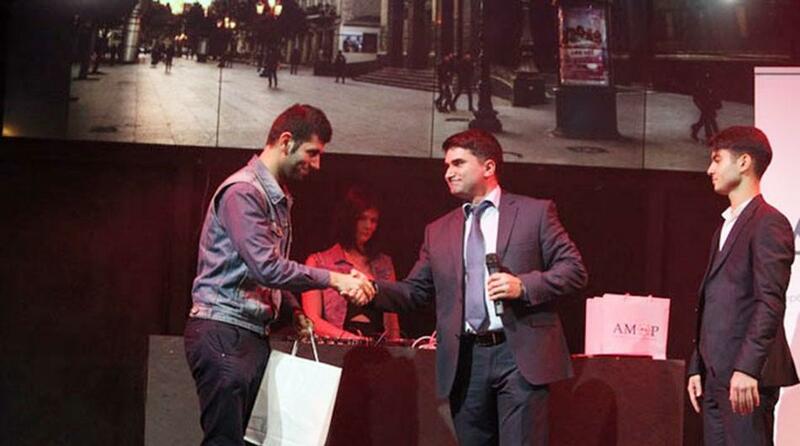 The winners were announced in five categories including "Baku - the best city in the world! ", "Architecture of Azerbaijan: from the Maiden Tower to the Flame Towers», «Sport in the City", "Beyond from cities" and "EkoIDEA." The event featured a presentation of the diplomas and awards on behalf of the vice-president of the Heydar Aliyev Foundation, Leyla Aliyeva. AMOR was established on April 18, 2009. Since its inception, the organization chaired by Leyla Aliyeva has aimed to bring together the most active part of the Azerbaijani community in Russia into one large family to inculcate in young people the spirit of patriotism and encourage the preservation and promotion of the cultural heritage of Azerbaijan. The organization's scope of activity covers culture, education, science and history of Azerbaijan; its realities and perspectives; outreach activities, sporting programs; and nurturing in young people a sense of responsibility for their future and the future of the whole world.